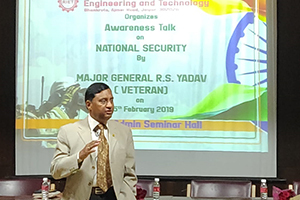 Rajasthan Institute of Engineering & Technology was graced by the presence ofMaj Gen Rajendra Singh Yadav and Col. J S Lamba who gave a talk on National Security Awareness. 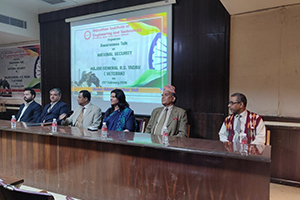 Maj Gen Rajendra Singh is a highly decorated army personnel who hasserved all across the country and on all active bordersWith Pakistan and China, and even has rich operational experience of counterTerrorist operations in J&K and North East (He commanded a Rashtriya RiflesBattalion) in J&K for almost three years during the high violence period immediatelyafter Kargil operations from 1999 to 2002, for which his Unit was awarded the Chief’sUnit Citation and Governor’s Appreciation and he himself was also awarded the VishistSeva Medal. He has also served in various important assignments in ServiceHeadquarters. 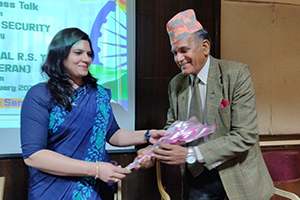 On the onset of the programmePrincipal RIET DrSarojHiranwaland Dean Academics & Admin, RIET, Prof. KapilDevwelcomed the guests. 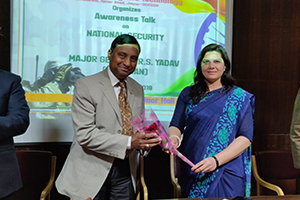 In her welcome note Principal RIET DrSarojHiranwal said that, National Security often refers to the security of a nation, state, including its citizens, economy, and institutions, and is regarded as a duty of government, but it is not only the Government which is responsible but also the citizens themselves.National security serves many purposes. 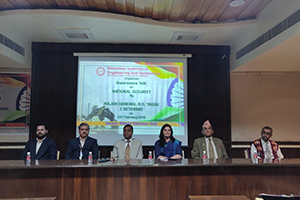 First of all, the armed forces are a very important aspect of national security. 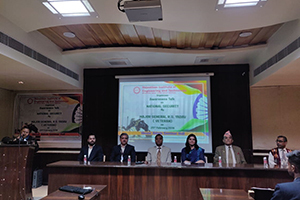 Dean Academics & Admin, RIET, Prof. KapilDev said that National security could be defined as the actions and policies taken by a nation against all internal and external threats to its borders, economy, and stability. 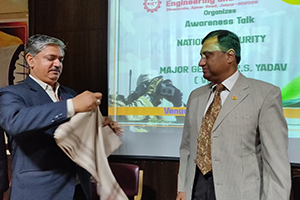 Maj Gen Rajendra Singh shared his experience of his entire military career. 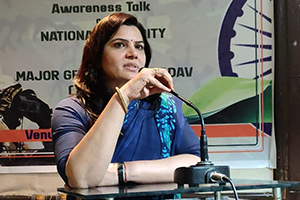 He also spoke to the students about the recent Pulwama attacks in J&K. His talk was highly inspiring and motivating for all the students. 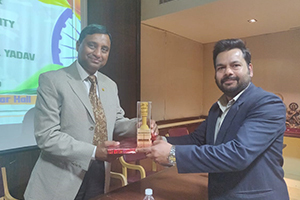 The guests were presented with token of appreciation and thanks by Prof D DJohari, Advisor Training and Placement, RIET and Vice Principal RIET DrSachin Sharma. RIET looks forward for more such occasions and sessions.